Congratulations to our dear friend, Kurt Steinberg, on his appointment at Montserrat College of Art. To read the full story click here. Boston-based architects CambridgeSeven have just completed Kuwait’s new Ministry of Education headquarters in the country’s district of South Surra. The building, a modern glass and metal composition, now houses eight ministry departments and some 3,600 employees, who relocated from different sites across the country. Consolidating a variety of needs, the new building is set to not only provide modern accomodation for one of the country’s most important public services, but also allow room for growth in the future. 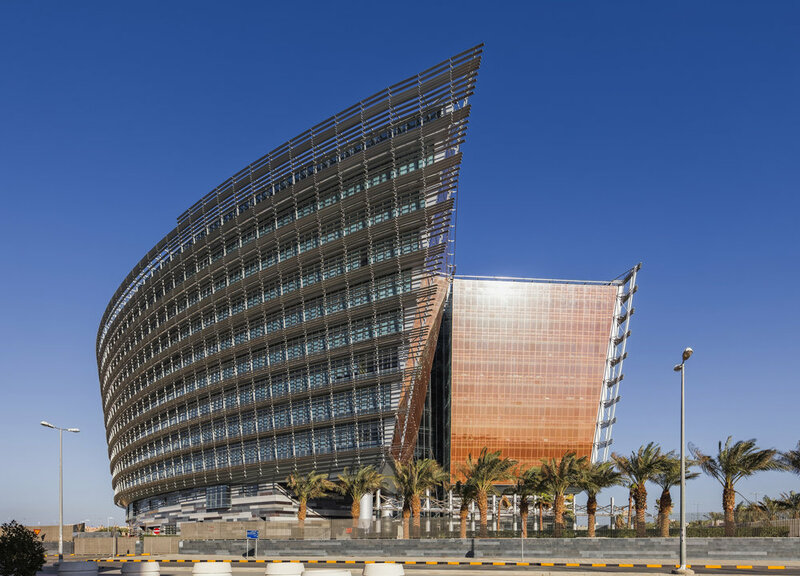 The structure’s curved shape is inspired by the rich maritime history of Kuwait, and the architects referenced its shipbuilding industry by designing an office building that abstractly resembles the prow of a ship. A large central courtyard sits at the heart of the ministry, while elsewhere the building features a 600-seat multi-purpose auditorium, a two-level cafeteria, and three levels of parking. To ensure the interiors remain cool, the architects specified that the external glass should be layered with copper so as to better filter the amount of sunlight that enters the building. Spruce Peak Realty next month will begun construction on One Spruce Peak, a luxury mountain residential development at the base of Stowe Mountain Resort in Stowe, Vermont. The six-story, 117,000-square-foot property will feature 27 “ski-in/ski-out” residences between slopes at Spruce Peak Village and Mt. Mansfield, Vermont’s tallest mountain. 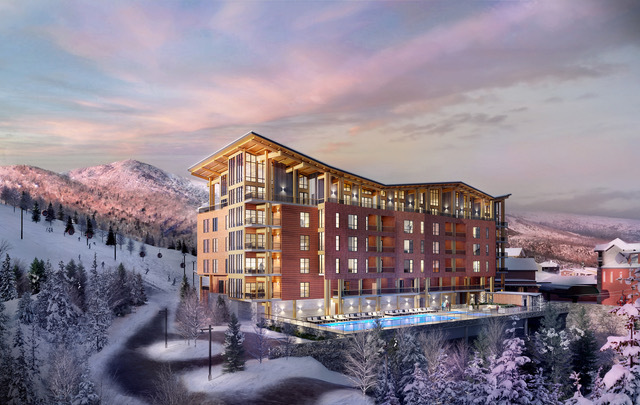 One Spruce Peak ­— which its developer says is “the pinnacle of alpine living” — will include private in-residence elevators, floor-to-ceiling windows, ceilings of up to 20 feet in height with mountain views, gas fireplaces and a smart home system. The development is the third major luxury residential project Spruce Peak Realty has developed in the past four years. The company has developed more than $400 million in infrastructure, amenities and residences since 2003. Spruce Peak Realty has also developed 18 Village Townhomes, which sold out last year for a combined $34 million, as well as the Mountain Cabins and Club Residences. San Francisco-based Bull Stockwell is One Spruce Peak’s architect, while Burlington, Vermont-based TruexCullins is the interior designer. Prices for the 27 units start at $2.05 million, while penthouses range in price from $7 million to $10 million. One Spruce Peak is expected to be complete in December 2020. 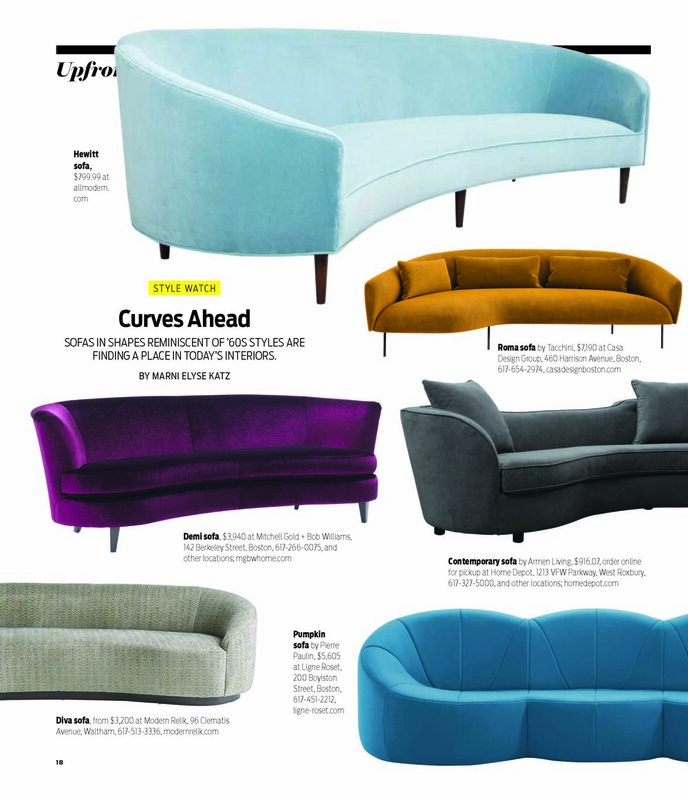 Our Principal & Founder, Lynne Kortenhaus, was featured in the latest issue of New England Home on stands now! Click the image below to view the full story. Just in time for Valentine’s Day, and the accompanying opportunities for eyelash-batting over full-bodied pours of Bordeaux, the pair behind a popular South End restaurant have ushered an adorable newcomer to Cambridge’s Porter Square. Colette Wine Bistro is now open, offering twists on traditional French fare in a cute, upscale-casual space inspired by 20th-century literary salons. “I wanted the menu to be vibrant and fresh in both presentation and flavor,” says chef Cyrille Couet, formerly of Miel (French for “honey”) inside the InterContinental Boston hotel. He was informed by international travels, and the results intrigue. Boneless chicken is brushed with mustard and tarragon, marinated in traditional French flavors and Indian-style yogurt. For daily-changing ceviche, Couet employs Caribbean-inflected elements—like coconut milk and sweet chili—inspired by his time working on the islands. Other items are more traditional, like a tart Tatin that “takes me home,” says Couet, a French native. There’s also a strong selection of raw seafood and charcuterie. The beverage program is overseen by Sandrine Rossi, who runs Frenchie Wine Bistro in the South End with her Colette co-owner Loic Le Garrec. (Le Garrec is separately the owner of South End stalwart Petit Robert Bistro, too.) French wines and spirits are certainly well-represented, though the options aren’t exclusive to l’Hexagone. Namesake Sidonie-Gabrielle Colette, the Nobel Prize-nominated French author and actress, served as a muse for the interior. It features plush velvet booths, wall coverings of tropical landscapes from a high-end French design house, and an array of antiques—including, of course, a typewriter at the bar. That’ll be a perfect perch when Colette launches its “philosophie cafe” series, which will invite local university professors to present on various topics. Colette Wine Bistro serves breakfast daily from 7 a.m.-10 a.m. and dinner daily from 5 p.m.-10 p.m. Weekend brunch will launch next weekend, and lunch hours will roll out in a few weeks. 1924 Massachusetts Ave., Cambridge, colette1924.com. 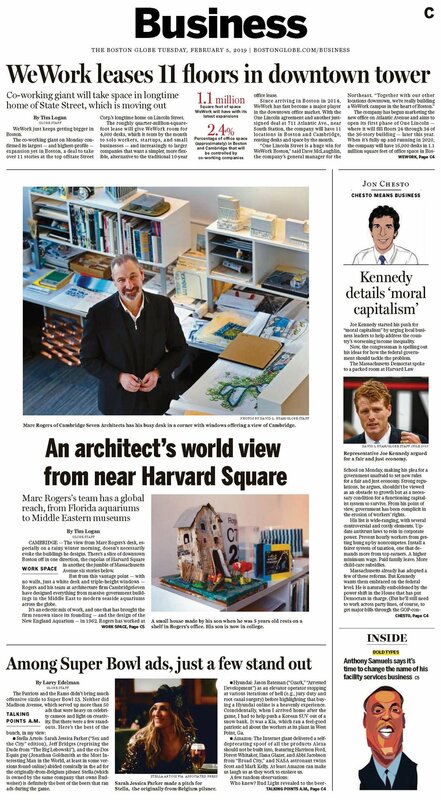 Our client, CambridgeSeven, sits down with The Boston Globe about their design of WBUR’s new CitySpace destination opening February 28th. Click here for the full story.